Level 3 Communications announced support for Amazon Web Services (AWS) Direct Connect across its network. As an AWS Partner Network (APN) Technology Partner. Level 3 Communications will offer private network connections to every AWS Direct Connect location. 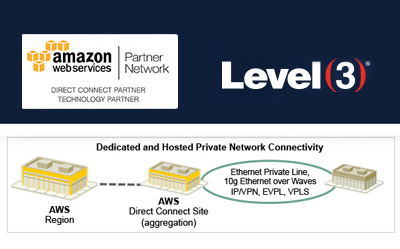 Level 3 is providing new Ethernet and VPN hosted connections with direct access to Amazon Elastic Compute Cloud, Amazon Simple Storage Service and Amazon Virtual Private Cloud. Enterprises can use the service to effectively establish and scale connectivity between remote office locations, data centers and AWS to create a cloud ecosystem with greater flexibility to address evolving IT requirements. Level 3 said the partnership reinforces its recently announced portfolio of Cloud Connect Solutions, which offers extensive fiber-based routes with latency guarantees between enterprises and AWS to improve application performance. Level 3 also offers the flexibility of usage-based billing, allowing enterprises to take advantage of on-demand access to network bandwidth and services, while only paying for what is consumed. Additionally, Level 3 Cloud Connect Solutions leverages its private network connections to AWS, along with the company's expansive view of the global cyber threat landscape to reduce network security risks for enterprises operating IT services in the cloud. "To do business in the cloud, enterprises have to solve their migration, security and performance challenges," said Paul Savill, senior vice president product management for Level 3. "The combination of Level 3 Cloud Connect Solutions and AWS Direct Connect make it easier and more cost effective to move, operate and secure enterprise applications in the cloud." Complex network infrastructures, a shortage of engineers skilled in cutting-edge technologies, and demand for fast-paced service deployment, are making it increasingly appealing for network operators to tap into additional resources and talent through outsourced managed services. Yet, the moment an operator considers leveraging a global service delivery model, the issue of how to deliver quality becomes a concern. When taking on these challenges, best-in-class quality management systems are important for achieving the outcomes operators and suppliers strive for. Adherence to global multi-site quality management (ISO 9001) ensures clear processes are defined and a regular rhythm of discipline is implemented for all employees. Environmental systems management (ISO 14001) is designed to help understand, manage and reduce environmental impact, and also leads to operational efficiencies in many cases. ISO 27001, an information security management system (ISMS) standard, addresses information systems with controls across 11 domains such as information security policy, governance of information security, and physical and environment security. To raise the bar further, the QuEST (Quality Excellence for Suppliers of Telecommunications) Forum has created TL 9000 to define quality system requirements for the design, development production, delivery, installation and maintenance of more products and services. Common processes and metrics within and between companies ensure consistency and a basis for benchmarking and continuous improvement. 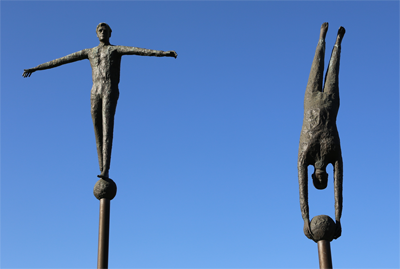 Nokia Solutions and Networks (NSN) has made a strategic commitment to quality as a pillar of its transformation. Integral to these efforts is the commitment to Quality Management Systems to help drive improvement. This encompasses a customer-centric closed-loop approach to measuring quality and value, a rigorous focus on proactively preventing defects, and actively building quality competence and disciplines amongst employees and with suppliers. NSN is investing significant senior management attention and dedicated resources to raising the bar on quality end-to-end for operators and their subscribers. In NSN’s primary Global Delivery Centers (GDCs) in Portugal and India, and in smaller hubs around the world, NSN supports more than 550 customers globally, including remote management of almost one million network elements and approximately 200 million subscribers annually. This means a tremendous volume of data traffic and network operations and subscriber information. Day-to-day performance management is a cornerstone for network operations’ business growth and efficiency. Relentless performance monitoring and the ability to take immediate action are imperative. Quality at the delivery centers means implementing systems and processes to comply with the highest level of accreditations and certification. Implementation of such standards is a massive undertaking, involving the education and testing of every individual at the delivery center. Achieving a ‘zero non-conformity’ audit result from Bureau Veritas audits, as the GDC Portugal did recently, is an indicator that NSN team members have adopted the commitment to quality. Building awareness and training employees within the organization to adhere to processes and protect information and related assets also goes a long way to foster customer confidence in network operations and service delivery. The certification has provided operators with another proof point that their networks and related information are in safe hands. 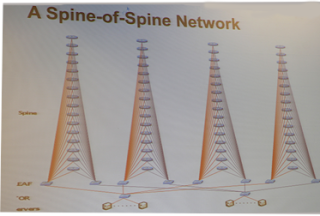 After introducing TL 9000, one NSN business line reduced problem reports by 82%. But accelerating alignment with operators has been one of the greatest benefits of TL 9000. “With one Asian operator, we were able to use a common TL 9000 metric to evaluate monthly alarms across different vendors. Together, we were able to implement changes that improved performance and reduced costs for both of our companies,” says Scott Schroepfer, Head of Quality for Small Cells/CDMA. A common language for quality with operators around the globe is allowing NSN to accelerate improvement actions and collaboration with its customers. Beyond managed services, operators are increasingly exploring cloud-based technology offerings as a way to completely change their business model. The benefits are compelling: expanded on-demand network resources through virtualization, faster innovation cycles for top line growth through leveraging a broader open eco-system, and a greater level of productivity and efficiencies through automation. But again, the issue of how to deliver quality becomes a real concern. Security, resiliency, availability, and stability can all be impacted negatively when managing and orchestrating across a myriad of virtual machines on different platforms, all in a multivendor environment. New complexities associated with the cloud paradigm will require the right set of tools and a commitment to plan for quality management from the start. 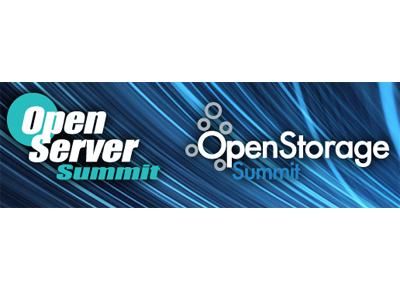 NSN is working closely on planning for the network quality requirements of cloud technology with major operators, leading cloud stack vendors such as VMware Inc., and industry forums such as the OpenStack Foundation and the ETSI Network Functions Virtualization Industry Specification (NFV) Group and the QuEST Forum. A series of proof of concept projects have provided the foundation for viable telco cloud by demonstrating the running of core network software on top of virtualized network infrastructure. Further tests have shown end-to-end VoLTE deployment readiness in a telco cloud and verified the automated deployment and elastic scaling of virtualized network elements, live migration of virtual machines from one server to another, and recovery from hardware failures. The conclusion is this: When operators strive to scale and improve productivity, through managed services or the cloud, quality cannot be an afterthought. The good news is the tools, technologies, standards and expertise are increasingly available. Find out more about quality at NSN at http://nsn.com/about-us/company/quality. Learn about the QuEST Forum’s TL 9000 platform based on ISO 9001 to improve supply chain management effectiveness and efficiency at http://www.questforum.org. 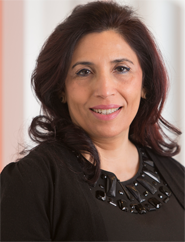 With more than 25 years of international experience in the telecommunications industry, Deepti Arora is the Vice President of Quality at Nokia Solutions and Networks. Deepti has held various roles in quality, business operations, engineering, sales and general management. She has a reputation of being a dynamic, results oriented leader with a passion for customer focus, and continually challenging the status quo. Her strong technology and business expertise, along with an ability to build high performing global teams has made Deepti a valued executive in driving organizational success. AT&T reported Q3 consolidated revenues of $32.2 billion, up 2.2 percent versus the year-earlier quarter. Third-quarter 2013 net income attributable to AT&T totaled $3.8 billion compared to $3.6 billion in the year-earlier quarter. Earnings per share was $0.72 per diluted share versus $0.63 per diluted share in the year-earlier quarter, a 14.3 percent increase. Adjusted for gains of 3 cents from a previously disclosed transfer of spectrum and 3 cents from income tax items, earnings per diluted share was $0.66 compared to $0.62 in the year-ago quarter, up 6.5 percent. "Our fiber and U-verse expansion projects are ahead of schedule bringing high-speed broadband to millions more customers,” said Randall Stephenson, AT&T chairman and CEO. “With these initiatives, we’re seeing excellent growth across our major platforms — mobility, U-verse and strategic business services." Added 989,000 subscribers, including postpaid net adds of 363,000. Postpaid net adds include 178,000 smartphones and 388,000 tablets. This gives the company a total of 109.5 million wireless subscribers. 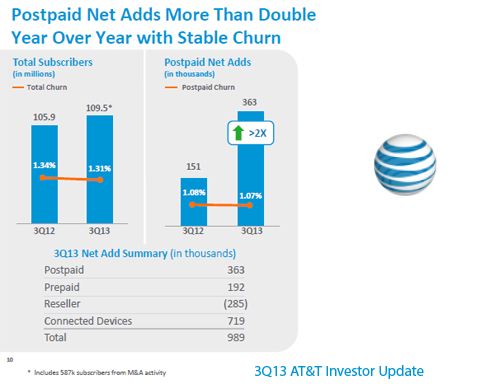 AT&T added 1.2 million postpaid smartphone subscribers in the third quarter. At the end of the quarter, 75 percent, or 50.6 million, of AT&T's postpaid phone subscribers had smartphones, up from 66 percent, or 44.5 million, a year earlier. The company sold a third-quarter record 6.7 million smartphones. Smartphones accounted for a record 89 percent of postpaid phone sales in the quarter. AT&T’s ARPU for smartphones is more than twice that of non-smartphone subscribers. About 42 percent of AT&T’s postpaid smartphone customers now use an LTE device and 70 percent use a 4G-capable device (LTE/HSPA+). About 72 percent, or 36.4 million, of postpaid smartphone subscribers are on usage-based data plans. This compares to 64 percent, or 28.5 million, a year ago. Total wireless revenues, which include equipment sales, were up 5.1 percent year over year to $17.5 billion. Wireless service revenues increased 3.7 percent in the third quarter to $15.5 billion. Wireless data revenues increased 17.6 percent from the year-earlier quarter to $5.5 billion. Third-quarter wireless operating expenses totaled $12.9 billion, up 5.7 percent versus the year-earlier quarter, and wireless operating income was $4.6 billion, up 3.4 percent year over year. Postpaid phone-only ARPU increased 3.1 percent versus the year-earlier quarter. U-verse reached 10 million total subscribers (TV and high speed Internet). U-verse TV had its second-highest net adds ever and best net adds in almost five years, adding 265,000 subscribers to reach 5.3 million in service. AT&T now has more pay TV subscribers than any other telecommunications company. U-verse high speed Internet had a net gain of 655,000 subscribers to reach a total of 9.7 million, an increase of 37 percent from the year-ago quarter. U-verse had its first billion-dollar revenue month. Q3 wireline revenues were $14.7 billion, down 1.0 percent versus the year-earlier quarter and down 0.7 percent sequentially. Q3 wireline operating income margin was 10.6 percent, compared to 12.1 percent in the year-earlier quarter, down primarily due to customer growth-related costs and costs incurred as part of Project VIP. Revenues from residential customers totaled $5.6 billion, an increase of 2.4 percent versus the third quarter a year ago and stable sequentially. Consumer U-verse revenues grew 27.2 percent year over year and were up 4.7 percent versus the second quarter of 2013. Overall, the company had a net loss of 26,000 wireline broadband subscribers in the quarter; these increased slightly year over year. Total wireline broadband ARPU was up more than 8 percent year over year. Total U-verse high speed Internet subscribers now represent 59 percent of all wireline broadband subscribers compared with 43 percent in the year-earlier quarter. About 60 percent of U-verse broadband subscribers have a plan delivering speeds up to 12 Mbps or higher. Total revenues from business customers were $8.8 billion, down 2.6 percent versus the year-earlier quarter and down 0.9 percent compared with the second quarter of 2013.
Business service revenues declined 2.0 percent year over year. Overall, declines in legacy products were partially offset by continued double-digit growth in strategic business services. Revenues from these services, the next-generation capabilities that lead AT&T's most advanced business solutions — including VPN, Ethernet, hosting and other advanced IP services — grew 15.7 percent versus the year-earlier quarter. These services represent an $8.6 billion annualized revenue stream and represents more than 24 percent of wireline business revenues. During the third quarter, the company also added a record 97,000 business U-verse high speed broadband subscribers. 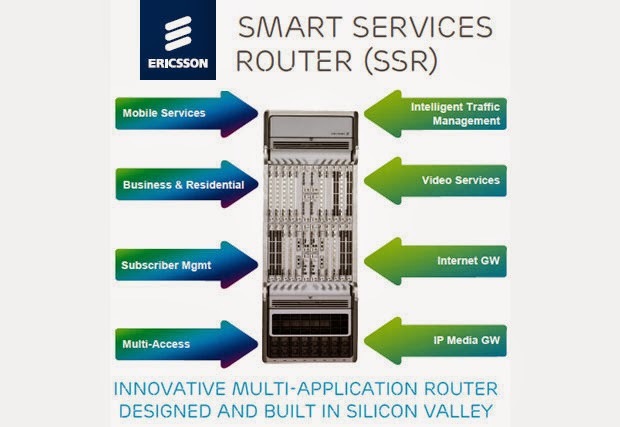 Ericsson introduced a multiple-application card for its Smart Services Routers (SSR). The board, which is powered by the custom SNP 4000 ASIC introduced earlier this year, can support various services concurrently without compromising performance. 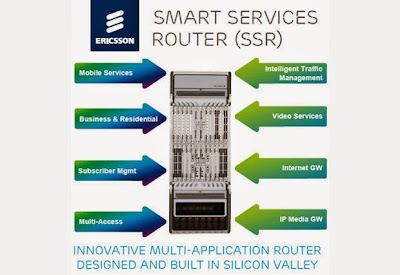 In March 2013, Ericsson introduced a network processing chipset that integrates thousands of processing cores to enable products that can scale from 100Gbps to 1Tbps and applications that support millions of subscribers. The SNP 4000 ASIC, which was developed in-house, features a hyper-threaded, completion architecture that runs the Linux OS with full support for GNU based C/C++ tool chain. Equinix appointed Ihab Tarazi as chief technology officer (CTO). He will be responsible Equinix International Business Exchange (IBX) network operations, platform strategy, leading the next generation technology and innovation function and contributing to the company’s cloud initiatives. NSN announced that is Smart Scheduler has been enhanced to deliver up to 50% higher uplink data rates at cell edge and up to 20% more uplink cell capacity. The enhanced performance can be achieved on FDD-LTE and TD-LTE networks through a software upgrade on top of NSN Flexi MultiRadio Base Stations. 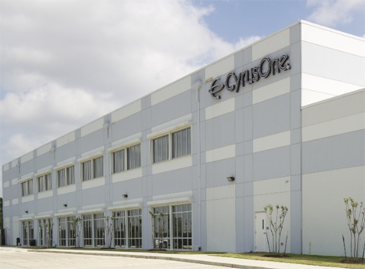 CyrusOne reached a company milestone: 1-million-square-foot mark of raised white floor space in its 25 carrier-neutral data center facilities across the United States, Europe, and Asia. (1 million square feet = 92,903 square meters). CyrusOne crossed the milestone as it recently commissioned a new 60,000-square-foot data hall at its Carrollton, Texas data center, which the company said is now the largest and most energy-efficient multi-tenant data center in the state. “Achieving 1 million square feet of data center space is a tremendous accomplishment for the entire CyrusOne team and reflects solid progress toward our goal of being the preferred data center provider of Fortune 1000 companies,” said Gary Wojtaszek, president and chief executive officer, CyrusOne. 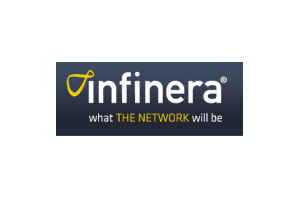 Infinera reported Q3 revenue (GAAAP) of $142.0 million compared to $138.4 million in the second quarter of 2013 and $112.2 million in the third quarter of 2012. GAAP gross margin for the third quarter of 2013 was 48% compared to 37% in the second quarter of 2013 and 37% in the third quarter of 2012. GAAP net income for the quarter was $3.3 million, or $0.03 per diluted share, compared to a net loss of $(10.0) million, or $(0.09) per share, in the second quarter of 2013 and a net loss of $(19.1) million, or $(0.17) per share, in the third quarter of 2012. “DTN-X adoption continued to drive strong financial results in the third quarter. We generated solid revenue growth and achieved positive cash flow from operations, with both gross margin and profitability exceeding our expectations,” said Tom Fallon, chief executive officer. “During the quarter, we received purchase commitments from five additional customers, including two new to Infinera, bringing our total DTN-X customer count to 39." Separately, Infinera also announced that company CFO, Ita Brennan, will resign effective February 28, 2014 to pursue another opportunity at a technology start-up. Ms. Brennan has served as Infinera’s CFO since June 2010. Akamai posted Q3 revenue of $396 million, a 15% increase over third quarter 2012 revenue of $345 million, or up 18% adjusted for the Advertising Decision Solutions (ADS) divestiture. Net income (GAAP) was $80 million, or $0.44 per diluted share, a 29% increase from the prior quarter's GAAP net income of $62 million, or $0.34 per diluted share, and a 65% increase over third quarter 2012 GAAP net income of $48 million, or $0.27 per diluted share. 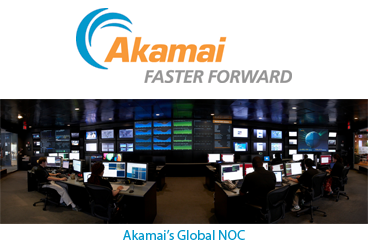 "Akamai's strong third quarter and year-to-date financial performance highlights our ability to deliver innovative solutions to leading enterprises globally," said Tom Leighton, CEO of Akamai. "We intend to continue to invest in the business, while also effectively managing the cost and efficiency of our network, to help our customers capitalize on the opportunities enabled by the hyperconnected world." F5 posted revenue of $395.3 million for it Q4 2013, up 7 percent from $370.3 million in the prior quarter and 9 percent from $362.6 million in the same period last year. GAAP net income for the quarter was $76.2 million ($0.97 per diluted share) compared to $68.2 million ($0.86 per diluted share) in the previous quarter. For its full fiscal year 2013, revenue was $1.48 billion, up 8 percent from $1.38 billion in fiscal year 2012. “Following the release of the BIG-IP 5000 and 7000 series at the end of the third quarter, our entire refreshed family of BIG-IP appliances was shipping in Q4, contributing to strong sales in the quarter and continuing momentum as we enter fiscal 2014. We also won several large deals driven by new and enhanced software modules, including Advanced Firewall Manager (AFM), Application Security Manager (ASM), Access Policy Manager (APM), and Policy Enforcement Manager (PEM). In addition, our Virtual Edition (software-only) products continued to gain traction, with revenue up 21 percent sequentially across a broad base of diverse customers. “As reflected in the number of large deals involving AFM, ASM and APM, security was a key business driver in Q4, and we continued to expand our integrated security offerings with the acquisition of Versafe, a provider of fraud detection and prevention solutions, in early September. 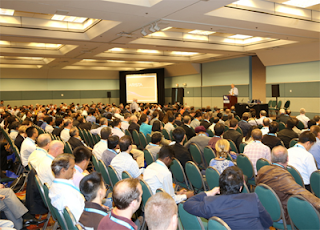 In the service provider segment, we further strengthened our pipeline of Diameter signaling and routing opportunities with a number of Traffix design wins at major carriers. “While the global economy shows no signs of improvement in the near term, we are confident that the company-specific drivers that contributed to our growth in Q4 will continue into fiscal 2014. As we look ahead to Q1, we expect to see continued strength in our new product offerings against the backdrop of our typical Q1 seasonality,” McAdam said. 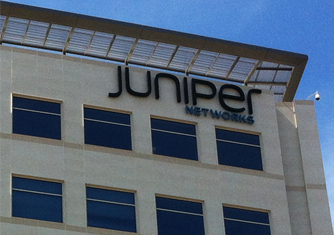 Juniper Networks reported preliminary Q3 revenue of $1,186 million, up 3% from Q2'13 and up 6% from Q3'12. Net income (GAAP) was $99 million or $0.19 per diluted share for the third quarter of 2013. "We delivered our fifth consecutive quarter of year-over-year growth. Our performance reflects our continued ability to execute our strategy with agility in a dynamic macro environment," said Kevin Johnson , chief executive officer of Juniper Networks. "We continue to see strong demand from our service provider customers and gain traction in the enterprise. It is evidence that our innovative and differentiated product portfolio is aligned with the needs of our customers as they look to build the best networks for their businesses." However, on an investor conference call, Juniper executives said the revenue forecast for the current quarter is weaker than previously expected. As a result, the company is trimming about 3% of its workforce, or about 280 employees.